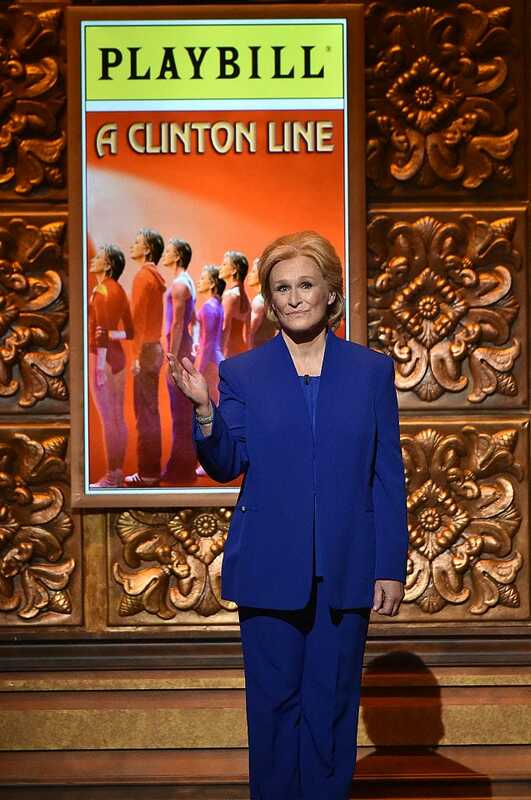 The 70th annual Tony Awards got political more than once Sunday night. The show took aim at the presumptive presidential candidates — being largely negative toward Republican Donald Trump. Most biting of all, Corden orchestrated spoofs of famous musicals about the presumptive nominees. 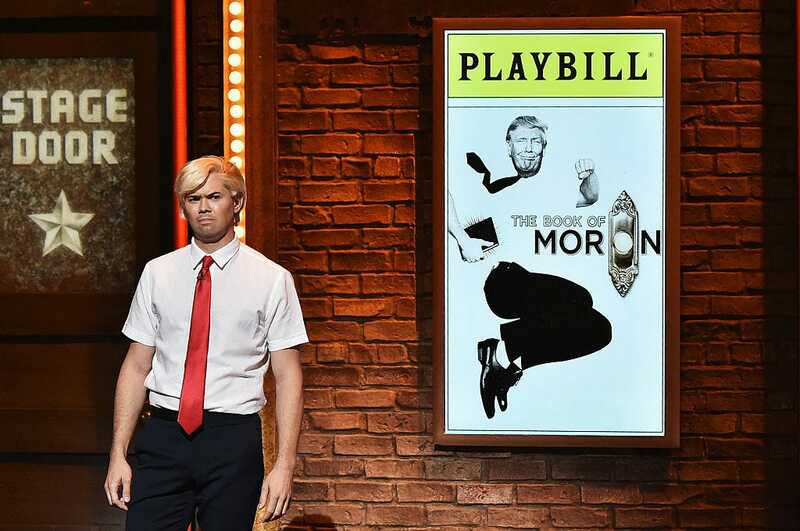 “The Book of Mormon” became “The Book of Moron” starring Andrew Rannells as Donald Trump. “Hello. My name is Donald Trump, and I would like to build a wall that goes straight through your house,” Rannells sang. The award show and CBS also dedicated the broadcast to anyone affected by the mass shooting at an Orlando gay nightclub that happened hours before the show. Many Broadway stars and Tonys attendees wore silver ribbons in acknowledgment of the tragedy. Frank Langella spoke out as well during his acceptance of the award for best leading actor in a play. “When something bad happens we have three choices: we let it define us, we let it destroy us, or we let it strengthen us,” he said.